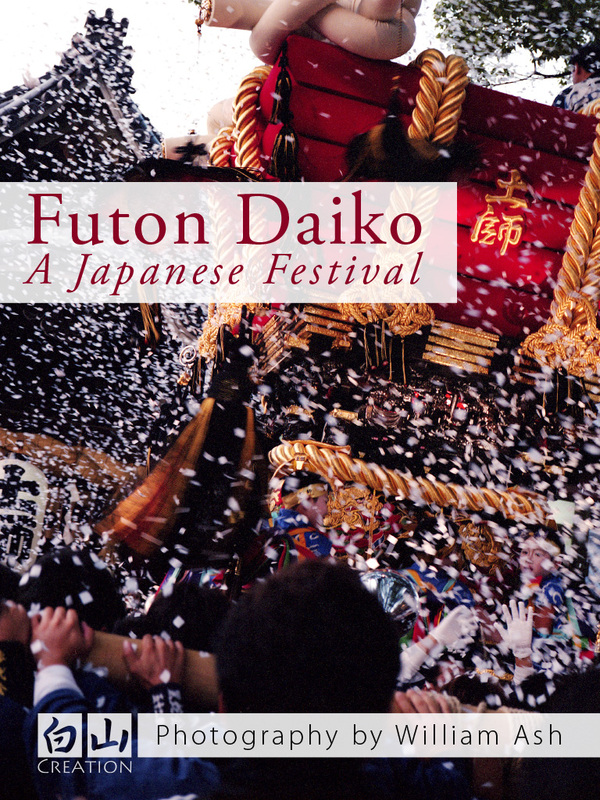 We are pleased to announce our new publication that has just been released in the Apple iBookstore: Futon Daiko: A Japanese Festival. Japan has an ancient and mysterious culture that seems impenetrable to the outsider. Experience is the essence of the native Japanese religion of Shinto. This volume of photographs explores the Japanese festival, or matsuri, embodied in shrine Shinto. The book follows the two-day Futon Daiko festival at Mozu Hachiman Shrine in Sakai, Japan, after an introduction to another variation of the festival at Ogikubo Hakusan Shrine in Tokyo. William Ash’s photography shows the passion and power of these rites. The book provides a beautiful introduction to shrine Shinto with forty-six photographs, two illustrations, and an illustrated glossary.